Please click on any live link associated within the document below to access the largest compilation of current information available to the nations indigenous peoples today. Additionally, after accessing the live links listed below, click on any picture listed thereafter to open up link to associated story. Arizona State University has announced two new programs in its Southwest Borderlands Initiative to include a program-specific professor, who will focus on Native journalism research and student recruitment, and an online master’s degree program. For additional stories, click that link. … And Europe gets rich. ​ The destruction of the Indigenous world has been chronicled ever since Bartolomé de las Casas wrote: “A Short Account of the Destruction of the Indies” in 1552. By Mark Trahant. Pauly Denetclaw, Diné, is the second media fellow for Indian Country Today. Denetclaw has been a staff reporter for the Navajo Times in Window Rock, Arizona, for more than a year and will be reporting from Washington, D.C., this March. ‘The Olympics of bull riding’ has its first All-Native American team, Native elders recount the history of the song Nathan Phillips sang, the AIM Song, Documentary chronicles traditions and Europe recognizes a Native Holocaust. 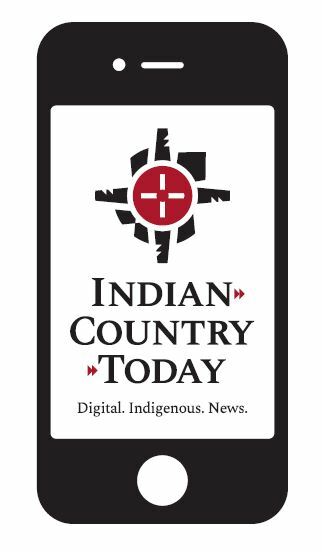 Check out the new Indian Country Today on your smartphone!